I think my favourite cake of the year so far has been this christening cake. 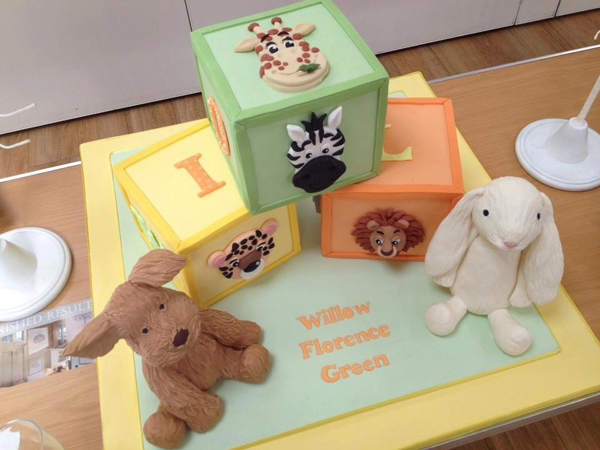 We made three baby building blocks in different flavours of sponge cake (vanilla Victoria sponge, chocolate and orange and a tangy lemon) and decorated the sides of each blocks with jungle animal faces and the letters of the child’s name. 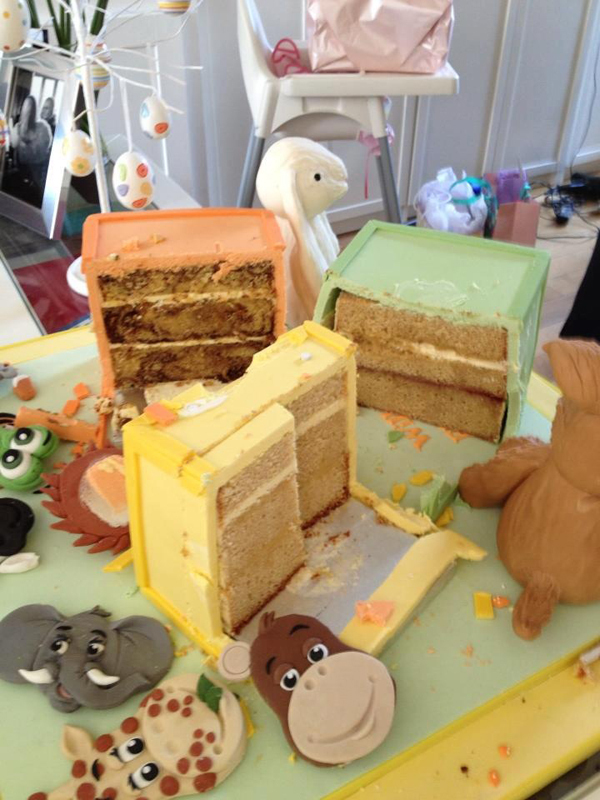 The cake flavours were very popular as the following after shot shows!